18+. New UK customers only. No EnergyBet promo code required - just opt in. EnergyBet will match 25% of your first deposit as a free acca bet with a 100% odds boost. Max bonus £50. Minimum deposit £10. Free Acca Bet must have 3 selections at odds of 1/4 (1.25) or bigger. Combined acca odds must be minimum 3/2 (2.5). Odds boost must be activated in bet slip before free acca bet is placed. If your bet wins you will get a 100% Odds Boost bonus. Only one bonus per person/household/IP Address. Acca Bet must be placed within 21 Days or it will expire. Full T&C’s apply – Gamble Responsibly – begambleaware.org. No EnergyBet promo code required – just opt in. EnergyBet will match 25% of your first deposit as a free acca bet with a 100% odds boost. Free Acca Bet must have 3 selections at odds of 1/4 (1.25) or bigger. Combined acca odds must be minimum 3/2 (2.5). Odds boost must be activated in bet slip before free acca bet is placed. If your bet wins you will get a 100% Odds Boost bonus. Only one bonus per person/household/IP Address. Acca Bet must be placed within 21 Days or it will expire. EnergyBet Bonus Code – £50 Free Acca Bet + 100% Odds Boost New Customer Offer! EnergyBet launched just a couple of years ago but this energetic new brand has made a big impact in a short space of time. One of the reasons for this is their £50 Free Acca Bet + 100% Odds Boost sportsbook sign up promo. No EnergyBet bonus code is required. You can also play on the EnergyBet Casino and Live Casino suites and they also have betting available on Virtual Sports! You will find out lots more about EnergyBet’s sportsbook promotions for new and existing customers if you keep on scrolling! 25% Matched First Deposit Bonus as Acca Free Bet with 100% Odds Boost. 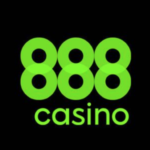 Holds licenses from both Malta and UK Gambling Commissions. Plenty of offers for existing members with no EnergyBet bonus code required. Live betting available on a decent selection of events. Good approach to customer care. EnergyBet Bonus Code – £50 Acca Bet With 100% Odds Boost Welcome Promo! If you are a UK resident and you open a sportsbook account with EnergyBet you should opt in by ticking the ‘Welcome Bonus’ box to get their superb welcome offer. They will match 25% of your first deposit with a Free Acca Bet up to a maximum value of £50. And that isn’t all, because if your free acca bet is a winner, EnergyBet will boost your odds by a massive 100%! To ensure you get the odds boost, make sure to click on ‘Pick Bonus’ and then ‘Activate’ on your bet slip. You have 21 days to use the acca bet before it expires and your bonus bet must have at least three selections at minimum odds of 1/4 (1.25). The combined odds of your bonus Acca bet must be at least 3/2 (2.5). So, to get the maximum bonus acca bet of £50 you have to opt-in and make a first deposit of £200. If you deposit more, you will still only get a £50 free acca bet. If you place a 3 leg acca at odds of 4/1 and it wins, the 100% odds boost will be applied, and you will get paid out at 8/1! No EnergyBet promo code is needed to get this welcome offer. Check out our detailed guide on how to get the EnergyBet sportsbook welcome bonus below. 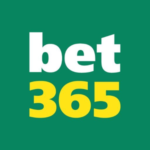 EnergyBet Bonus Code – How do I get the EnergyBet £50 Free Acca sign up offer? Click on one of our links to visit EnergyBet and register for a new account. Opt in to the welcome bonus (no EnergyBet bonus code needed). EnergyBet will match 25% of your first deposit as a free acca bet up to a maximum of £50. 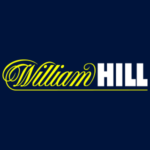 Deposit £200 to get the maximum £50 bonus. Free Acca bet must have 3 legs at minimum odds of 1/4 (1.25). Minimum combined odds of 3/2 (2.5). If your acca wins a 100% odds boost will be applied. See more key terms and conditions below. What are the EnergyBet Sign Up Offer’s Key Terms and Conditions? Below you can see some of the key terms and conditions of the EnergyBet welcome offer. UK residents over 18 years only. No EnergyBet bonus code required-just opt-in. Please check EnergyBet for full terms and conditions. EnergyBet Bonus Code – Is there a No Deposit Bonus Code? No, there is no EnergyBet promo code for a no deposit promo offer. Tighter rules and regulations introduced by the UK Gambling Commission mean that no deposit welcome bonuses are nowhere near as widespread as they used to be. The EnergyBet £50 free Acca Bet is still worth checking out and they have a substantial welcome offer for their Casino suite. With heaps of promotions for existing customers too (as you can see below), EnergyBet is a bookie that should definitely be on your radar. Are there EnergyBet Bonus Codes for Existing Customers? 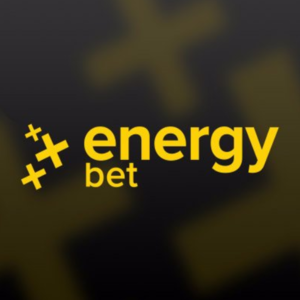 If you sign up with EnergyBet you will be able to take part in some interesting sportsbook promotions and we list some of their best current offers below. No EnergyBet bonus codes are required for the following promotions. What are EnergyBet’s Existing Customer Promotions for Sports Betting? EnergyBet Weekend Football Acca OfferChances are that if you like betting on football you will also be a fan of acca bets. If that sounds like you, then this acca offer is worth checking out. Place a minimum 4 leg acca (min odds per leg 1/5 (1.2) and if one leg lets you down, get your stake back as a free bet. Max refund £10, minimum stake £10. Bonus value must be turned over 5x before winnings can be withdrawn. Check EnergyBet for full T&Cs. 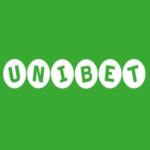 EnergyBet Weekend Scoreless Draw RefundIf you place a pre-match bet on the 1×2 match result market on any weekend (Saturday/Sunday) Premier League game and it finishes 0-0, EnergyBet will refund your losing stake as a free bet. Max refund £10 and bonus must be turned over 5x on bets at odds of 3/4 (1.75) or bigger within 30 days before withdrawals can be made. Check EnergyBet for full terms and conditions. EnergyBet NHL and NBA Night InsuranceThis offer is pretty similar to the weekend football acca offer, accept it applies to NHL and NBA multis. If one leg of a four leg or more NBA/NHL acca lets you down, EnergyBet will give you your money back as a free bet. Minimum odds per leg 1/5 (1.2) and max refund £10. Turnover (5x bonus) and wagering requirements apply, check EnergyBet for full details. At the time of writing the above promotions were available but EnergyBet regularly add more, so check their promotions page for new specials. Are There EnergyBet Bonus Codes for Online Casino? This page concentrates primarily on the EnergyBet sportsbook bonus, but they do have a welcome bonus for new casino customers too. The Casino suite has countless games and slots for you to try with some massive jackpots to be won. We have a separate EnergyBet bonus code review that focuses solely on the EnergyBet Casino welcome offers and promotions for existing members, so if you want to know more head to that page now! Who are EnergyBet And Can You Trust Them? Since their launch in 2016 EnergyBet has forged a solid reputation in the gambling industry. Their sportsbook welcome bonus is unique and it really is a big attraction for new customers, especially those that are mad about Accas. What Sports Can I Bet In Play On With EnergyBet? EnergyBet Payment Methods – How Can I Make Deposits and Withdrawals? 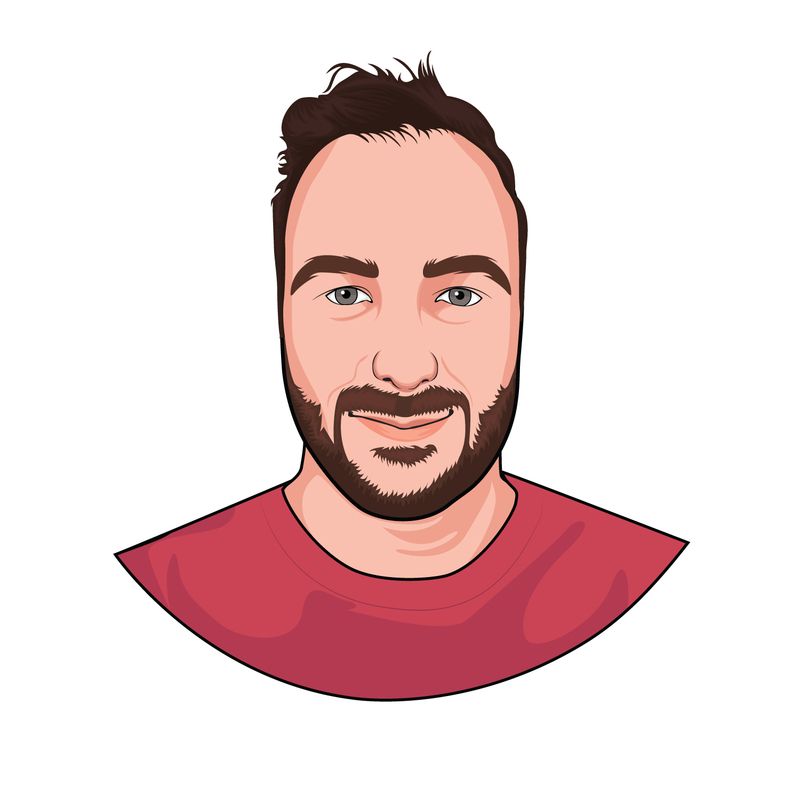 Our advice to anyone considering opening an account with a new betting site is to check the payment methods before you make a final decision. If you sign up with EnergyBet you will have a lot of options for depositing and withdrawing cash. They accept the usual credit and debit cards as well as a wide range of pre-paid cards, Bitcoin and e-wallets, and you can also use bank transfers to deposit and withdraw funds. However, EnergyBet does not accept PayPal and that is a negative in our eyes. EnergyBet Mobile Betting – Do EnergyBet have Mobile Betting Bonus Codes? EnergyBet does not, unlike a lot of their competitors, have a native app for Android or iOS devices. Instead, they have opted for a one size fits all Web App and it looks like they made a good decision. We liked how it was designed, it works smoothly across all mobile platforms and finding your preferred sport or market couldn’t be simpler. There are no mobile EnergyBet promo codes for mobile-specific offers. You can still partake in the same promotions that are available on the desktop site if you use the EnergyBet Web App. You can also access the EnergyBet Casino and Live Casino mobile suites on the EnergyBet web app. 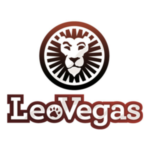 However, this is a sportsbook focused review and you can check our EnergyBet Casino Bonus Code page to find out more about their Casino and Live Casino. Customer Support – Help with EnergyBet Bonus Codes if you need it! 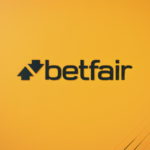 We believe that betting sites should always put their customers first and deal with their issues quickly and politely. EnergyBet has a good number of avenues through which customers can get in touch. They have a live chat facility, but unfortunately, it is not a 24-hour service (7am-10pm Mon-Fri; 11am-7pm Sat/Sun. If you need assistance the Live Chat option is the quickest method to get help, but there are other options. You can send an email via the form on the ‘Support Page’ or alternatively send them an email using the email address below. You can also contact EnergyBet via phone and post, and you can find the full list of EnergyBet contact details below. FAQ Section: Should be your first stop if you have a question. Live Chat – Operators available 07.00-22.00 Mon-Fri; 11.00-19.00 Sat-Sun. Email- [email protected] OR contact form on Support page. Phone – +356 9994 5112; +44 203 608 6491; +44 791 878 5604. Post – EnergyBet, Suite 109, Level 4, Sir William Reid Street, Gzira, GRZ1033, Malta. EnergyBet Bonus Codes – A Well Named Betting Site With A Super Sign Up Bonus! We think EnergyBet chose their name well as there is a lot happening on their excellent site. The sportsbook welcome offer of a 25% matched deposit free bet acca bonus is unique and odds restrictions are not as strict with this bonus as they are with some other bookies. 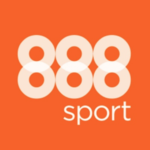 You can bet in play on lots of sports with EnergyBet and their Web App is top notch. They have a large number of payment methods available and casino and live casino suites too. If you want to energise your betting, you should sign up with EnergyBet right now! Is there an EnergyBet Bonus Code for a sportsbook sign up offer? There is no EnergyBet bonus code required to get their excellent sportsbook sign up offer. All you need to do is sign up, opt-in and make a minimum deposit of £10. Whatever amount you deposit, EnergyBet will give you a Free Acca Bet matching 25% of the total up to a max Free Bet of £50. You will also get a 100% Odds boost if your free acca bet wins! Check EnergyBet for more details and full terms and conditions. Does EnergyBet Have Any Mobile Bonus Codes? You can top up your account or withdraw funds using a wide range of methods with EnergyBet. Credit/Debit Cards, Pre-paid Cards, Bank Transfers, Bitcoin and lots of different E-Wallets are accepted. However, EnergyBet does not accept PayPal as a payment method. Hopefully, that changes in the future but at the moment if you use PayPal, you should think about signing up with a different betting site.